Fantastic dentist for any nervous patient. He put me at ease with his kind and caring nature, thoroughly explaining everything prior to treatment in a way I could understand. I am very pleased with the service I have had from both Mr Parvis and the hygienist I will continue to take their advice. I have been a patient at Torcross Dental Practice for nearly 20 Years and I am still satisfied with the care I receive. Hi, Excellent service and professionalism shown by staff. Dental public toilet would be appreciated, as nervous patients await their treatments! We take great pride in the quality of our dentistry in our Coventry practices, and all our clinicians undertake regular postgraduate training. 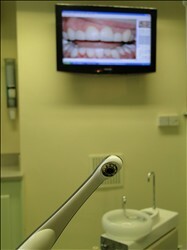 We have a programme of continual modernisation which we hope is to your benefit and both premises are fully computerised with the latest in dental software, digital radiography and laser treatment. Since 1996 Dr. Parvis been one of few dentists in Coventry approved for the training of new dental graduates. Please arrive at the practice a little before the appointed time. This will enable us to complete the paperwork formalities. In order to provide safe dental care for you it is essential that you have completed an up to date medical history questionnaire. This will alert us to any condition that might affect your dental care. This can be collected from the practice or downloaded here. Please complete this and take it along with you on your first visit.